On November 6, 2018, the U.S. Department of the Justice (DOJ) filed a Petition for Writ of Certiorari Before Judgment in U.S. vs. Regents of the University of California, a case currently pending before the Ninth Circuit Court of Appeals. This is the second such petition that DOJ has filed with the Supreme Court (the first was in January 2018), but has a better chance of getting heard than the first, which the Court dismissed without prejudice to refiling on February 26, 2018, particularly given the fact that the Ninth Circuit finally issued its decision and that matter on October 8, 2018, after months of consideration. This denied an attempt by [DOJ] to have the Court review a January 9, 2018, order by Judge William Alsup of the U.S. District Court for the Northern District of California, prior to a full review of that order by the Court of Appeals for the Ninth Circuit. Judge Alsup had ordered the Department of Homeland Security (DHS) to maintain the [DACA] program "on a nationwide basis on the same terms and conditions as were in effect before the rescission on September 5, 2017, including allowing DACA enrollees to renew their enrollments," with certain exceptions. In doing so, he placed [DHS] in the untenable position of continuing a program that it has deemed unlawful, and unsupportable in the face of impending litigation. He also set up the possibility of even more uncertainty for a program that has been limping along in a quasi-legal status for almost a year. Specifically, the plaintiffs in that case contended that the rescission of DACA by [DHS] was unlawful under the Administrative Procedure Act (APA), both because it was an arbitrary and capricious decision, and because of the government's failure to follow notice and comment procedures. In addition, they alleged that the rescission of DACA violated the Fifth Amendment to the Constitution on procedural due process, substantive due process, and equal protection grounds. Finally, the plaintiffs there sought "injunctive relief on the basis of equitable estoppel both as to the DACA rescission itself and its information sharing policy." Finally, they asked the court to declare that the DACA program was lawful. With respect to equal protection, the plaintiffs argued that strict scrutiny should apply to the court's review of DHS's rescission of DACA "because the disparate treatment allegedly involves suspect classes — race, alienage, and national origin." As the court noted, "When strict scrutiny applies, the government has the burden to demonstrate a compelling state interest, for which the governmental action is narrowly tailored and the least restrictive means." In so doing, he rejected plaintiffs' argument that he should rely on statements made by President Trump "to establish an ulterior motive." He distinguished the president's statements on DACA recipients from those under consideration in Int'l Refugee Assistance Project v. Trump, the Fourth Circuit case affirming in part and vacating in part a district court order injunction of section 2(c) of Executive Order 13780, "Protecting the Nation from Foreign Terrorist Entry into the United States," on Establishment Clause grounds. As the foregoing excerpts from Judge Titus's order reflect, the administration's rescission of DACA is an issue on which reasonable legal authorities can disagree. This is a fine idea, but unfortunately reviewing circuit courts have not actually done so up to this point. In its dismissal, the Supreme Court stated: "It is assumed that the Court of Appeals will proceed expeditiously to decide this case." Well, that has not happened. Briefing was completed, and oral argument was held by a three-judge panel of that court, on May 15, 2018. On October 17, 2018, five months after oral argument was completed, DOJ filed a notice with the Ninth Circuit that it planned to file another petition for a writ of certiorari before judgment to review Judge Alsup's preliminary injunction order and related orders if the Ninth Circuit failed to issue a judgment by October 31, 2018. Respectfully, this was reasonable given the fact that by Halloween the Ninth Circuit would have had the case for consideration for 169 days from oral argument. If, as a judge, I had waited 169 days to issue a decision in a case, my court administrator, if not my assistant chief immigration judge, would have called (or more likely visited) my chambers to find out what was taking me so long. And that would have been in a case involving one individual alien. The district court has entered a nationwide injunction that requires [DHS] to keep in place a discretionary policy of non-enforcement that no one contends is required by federal law and that DHS has determined is unlawful and should be discontinued. The district court's order requires the government to indefinitely tolerate — and, indeed, affirmatively sanction — an ongoing violation of federal law being committed by nearly 700,000 aliens pursuant to the DACA policy. The district court's injunction has now been in place for more than nine months and, unless either this Court or the Supreme Court promptly intervenes, it could remain in force for at least another year, given the Supreme Court's argument calendar. If this Court's decision is not issued promptly, even if the losing party were to seek certiorari immediately, the Supreme Court would not be able to review the decision in the ordinary course until next Term at the earliest. As a preliminary matter, as a citizen of a free republic (not a phrase I use often or lightly), I am saddened by the fact that many of the most important decisions facing our country are left up to (and all-too-often dependent on) nine unelected judges. Second, DOJ's points are well taken. Imagine if three separate district court judges were to find that a population of 700,000 people in the United States did not have to pay taxes because of fundamental fairness, or statements made by the president, notwithstanding the tax code. How long would a court (let alone three separate circuits) allow the Treasury to forgo payments by almost a million people before it stepped in and made a decision as to whether those three district court judges were correct? In a similar vein, would courts really wait for Congress to resolve the issue of whether those tax payments were due? I am loath to ascribe improper motivations, or to cast aspersions, on a judge, no matter how much I disagree with his or her opinions. It would be tough, however, to differ with any individual who was arguing that a court had failed to do its duty for 169 days because it viewed a particular population as sympathetic, or because it did not like the legitimate policies of a president with whom it did not agree. Finally, 177 days after oral argument (and two days after DOJ filed its petition for writ of certiorari), the Ninth Circuit issued its decision. Perhaps not surprisingly, it affirmed the decision of the district court. Specifically, the circuit court held that neither the APA nor the Immigration and Nationality Act (INA) barred its judicial review of the decision to end DACA. It next held that Acting Secretary of Homeland Security Elaine Duke "was incorrect in her belief that DACA was illegal and had to be rescinded," and that therefore the plaintiffs in that matter were likely to succeed in their argument that the rescission of DACA must be set aside under the APA as arbitrary and capricious. It next held that the district court did not err in issuing a nationwide injunction. Finally, the circuit court held that the court below had properly denied the government's motion to dismiss "plaintiffs' APA arbitrary-and-capricious claim, their claim that the new information-sharing policy violates their due process rights, and their claim that the DACA rescission violates their right to equal protection." [P]laintiffs allege that the rescission of DACA disproportionately impacts Latinos and individuals of Mexican heritage, who account for 93% of DACA recipients. The complaints also allege a history of animus toward persons of Hispanic descent evidenced by both pre-presidential and post-presidential statements by President Trump, who is alleged to have decided to end DACA, even though the directive to the Acting Secretary was issued from Attorney General Sessions. Finally, the district court properly considered "the unusual history behind the rescission," all of which appeared in the record submitted by the government. ... As the district court noted, "DACA received reaffirmation by the agency as recently as three months before the rescission, only to be hurriedly cast aside on what seems to have been a contrived excuse (its purported illegality). This strange about-face, done at lightning speed, suggests that the normal care and consideration within the agency was bypassed." Respectfully, under the standard, it would be impossible for the Trump administration to ever rescind the DACA, unless the chief executive officer of the United States recused himself from a significant policy decision, a point of questionable constitutional validity. One might question how Judge John Owens defines the term "a bit longer", and perhaps in geological terms he is correct. In terms of continuing a policy that the government has concluded is illegal, and the time that it took from the filing of the initial district court claim to the circuit court's decision (as well as the amount of time that it will take from a final district court decision to a decision by the Supreme Court), however, an objective observer might question whether this statement is tongue in cheek. Judge Owens disagreed, however, with the findings of the circuit court decision that the court could review the rescission of DACA in terms of compliance with the APA. 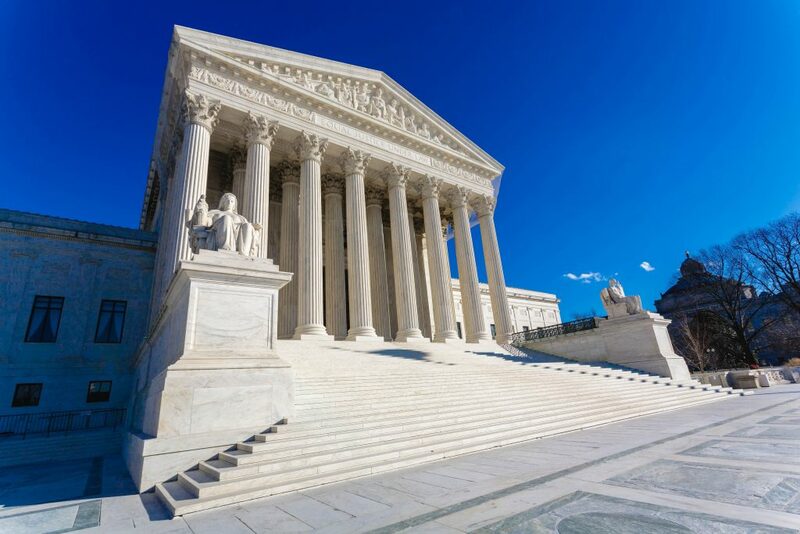 In any event, now that the Ninth Circuit has issued its decision, the path would appear to be clear for the Supreme Court to grant DOJ's petition for certiorari, notwithstanding the pendency of circuit court decisions in the D.C. and Second Circuits on the issue of the legality of the rescission of DACA. Notably, DOJ filed petitions for certiorari involving both the Second Circuit case and the D.C. Circuit case, requesting consolidation of the three matters. It is time for the Supreme Court to act on this issue, once and for all.